Welcome to South Michigan Ophthalmology (SMO). Our goal is to provide you with complete, comprehensive eye care close to home. From routine eye exams and diagnostic testing to in-office laser surgery, our doctors will provide state-of-the-art medical treatment for you and your family right here, close to home. We are happy to announce as of 1/1/2019, SMO has collaborated with L.O. 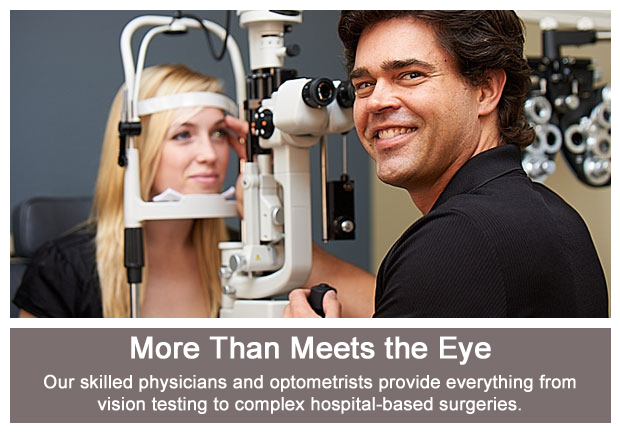 Eye Care, Michigan’s largest privately owned eye care practice. L.O. Eye Care has prided itself on patient care and satisfaction for over 50 years with 12 locations throughout Michigan. SMO’s collaboration with L.O. Eye Care will allow more local access to specialty eye care, allowing more people to get what they need right in town. From L.O. Eye Care, O’Neil Biscette, MD (retina specialist) and Craig Lewis, MD (oculoplastic specialist) are now seeing patients at our office. To learn more about L.O. Eye Care, please visit them at loeye.com. We are excited to be able to announce this new collaboration and believe it will enhance Eye Care for the entire community! Please note that our Saturday schedule has recently changed (updated 4/17/19): We are currently open from 9am-1pm on the 1st and 3rd Saturday of each month. Click here to see our current Saturday clinic dates and office closures. Click here to see a few of the major insurances we participate with. If your insurance is not listed, please call to verify that we participate (more than likely, we do).